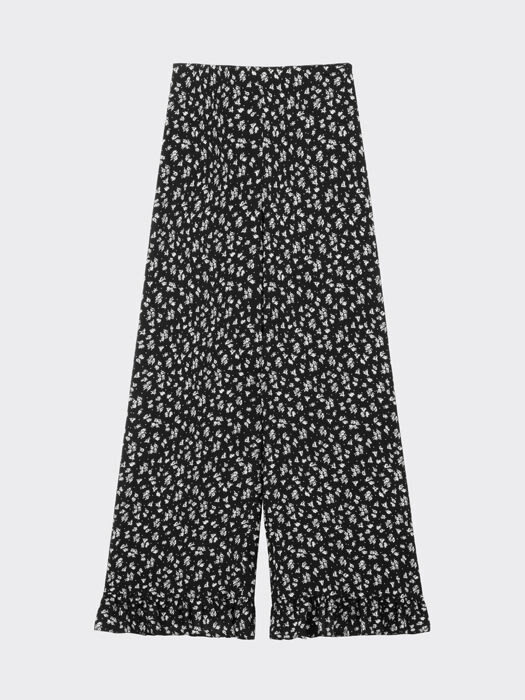 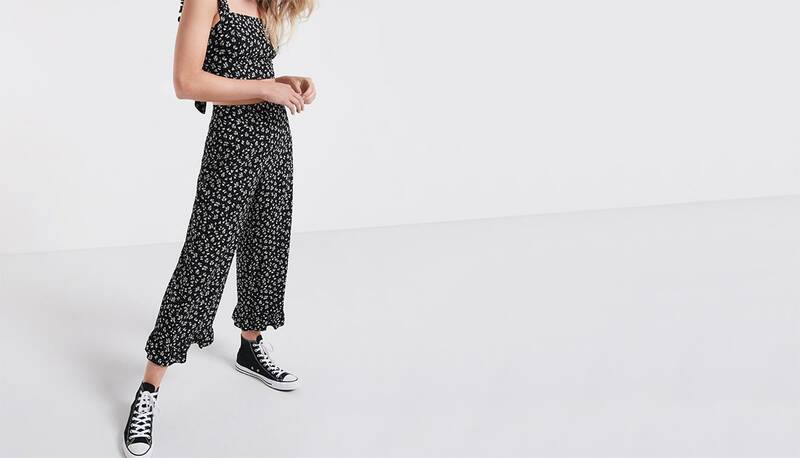 Adopt an all-new shape for spring with these Ditsy Frill-Hem Trousers. 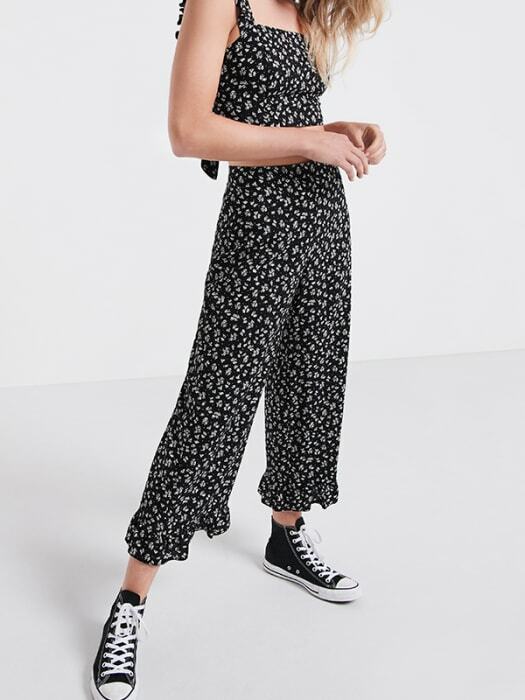 In a high-waisted silhouette, the style falls to an ‘awkward’ length, as favoured by the trend tribe this season. 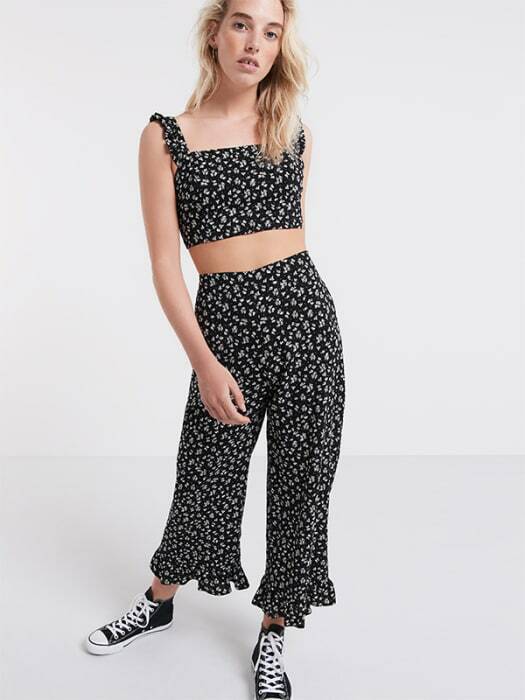 Co-ord with our matching ditsy frill bralet for the ultimate in #couplegoals.